It is quite clear that the Russian Government objects to an international agreement to stop fishing for the Antarctic toothfish in the Ross Sea region of Antarctica. What is far from clear is why. On the surface, the Russian fleet caught just 522 tonnes of the species from the Ross Sea last year; at the current wholesale price of between $10 and $11 per kilogram – and depending on how the fish is labelled in Japanese and American markets – that may be worth between $5 and $6 million. That isn’t much, but it may be a lot of money for the small Russian fishing fleets operating in the area. Commercially, it is dwarfed by the pollock catch of Russia’s fareastern fishing fleet in the North Pacific. 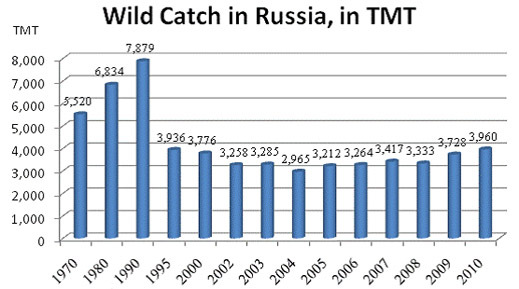 In a 2011 study of Russia’s wild fish catch by the Foreign Agricultural Service of the US Department of Agriculture, it was noted that growth in the annual volume of the catch has been rapid, but toothfish wasn’t even mentioned. 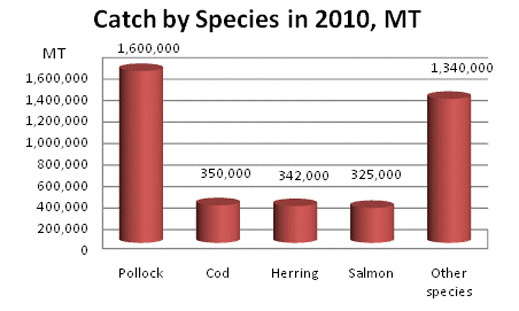 According to the official Antarctic catch data, in that year Russia took just 455 tonnes of toothfish – 11% of the total Antarctic toothfish volume, but an infinitesimal fraction of Russia’s wild fish catch worldwide. It’s that minuscule fraction which arouses curiosity. 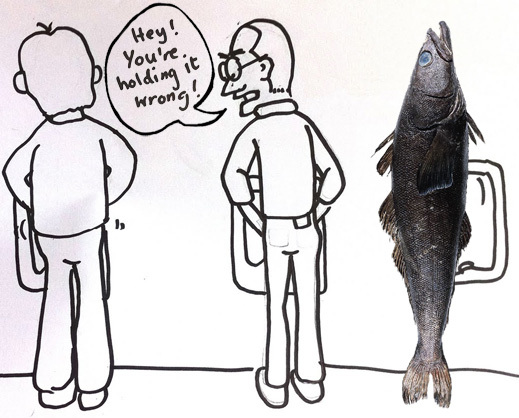 Below the surface, there is a long history of toothfish piracy, smuggling and mislabelling, with the consequence that the annual Russian toothfish catch may be worth considerably more. Is that then why the Federal Fisheries Agency in Moscow (Rosrybolovstvo) is proving so shy when asked to explain last month’s veto of proposals for a Marine Protected Area (MPA) to cover the Ross Sea and ban toothfish operations? The story of the Russian toothfish veto at a special session of the Commission for the Conservation of Antarctic Marine Living Resources (CCAMLR) was told here. The statistics on the Antarctic toothfish catch by year come from CCAMLR publications, as does this report on toothfish piracy. In the autumn of 2009, the Russian government accepted these rules when it voted in favour of the British proposal to the CCAMLR establishing an MPA over the South Orkney area of Antarctica. According to the British, “the South Orkneys MPA will be the world’s first entirely ‘High Seas’ marine protected area.” Gorbachev was asked what in law or regulation makes the Ross Sea MPA different? If Rosybolovtsvo had no legal or other qualms then, Kremeniuk and Gorbachev were also asked to clarify claims by participants in the CCAMLR session that the Russian delegation had asked questions of the group, which have yet to be answered. Finally, Rosrybolovstvo was asked to identify the Russian fishing fleet companies with a stake in the Ross Sea operations. Is it the Russian position in defence of these operators, the spokesman was asked, that no restriction on fishing in the Ross Sea area will be accepted? After several days in preparation, Rosrybolovstvo has replied: “The Russian side believes that in common with any other international body, CCAMLR must act within its mandate as laid down in the international legal instruments defining the scope of its activities. For CCAMLR such a document, first of all, is directly the Convention on the Conservation of Antarctic Marine Living Resources from May 20, 1980. “According to Art. IX of the Convention on the Conservation of Antarctic Marine Living Resources 1980 for conservation measures, CCAMLR provides for the designation of the opening and closing of areas, regions or subregions for purposes of scientific study or conservation, including special areas for protection and scientific study. These provisions do not directly imply that such areas should be established in the form of marine protected areas. “However, neither the CCAMLR Convention, nor Conservation Measure 91-04 entitled ‘The general system for the establishment of CCAMLR marine protected areas’ defines the term ‘marine protected area’ within the CCAMLR. However, in the opinion of the Russian Federation, the definition of this concept is fundamental to all activities of CCAMLR to establish marine protected areas. “In this regard, there appears to be confusion between a marine protected area, restricted area, district or subdistrict for the purposes of scientific study or conservation, and special areas for protection and scientific study. In the discussions at the extraordinary session of the CCAMLR the importance of addressing this issue even before the creation of new marine protected areas was mentioned by the Russian Federation and other countries. “At the moment, the entire management area of the CCAMLR in terms of the IUCN (IUCN) is regarded as a marine protected area, which confirms the effectiveness of the CCAMLR. On the identity and ownership of the Russian operators in the Ross Sea, Rybolovstvo is reluctant to provide the details beyond confirming there is no connection between the operators and those of Gennady Timchenko, the controlling shareholder of Russian Sea, the leading fishing fleet operator in the country.